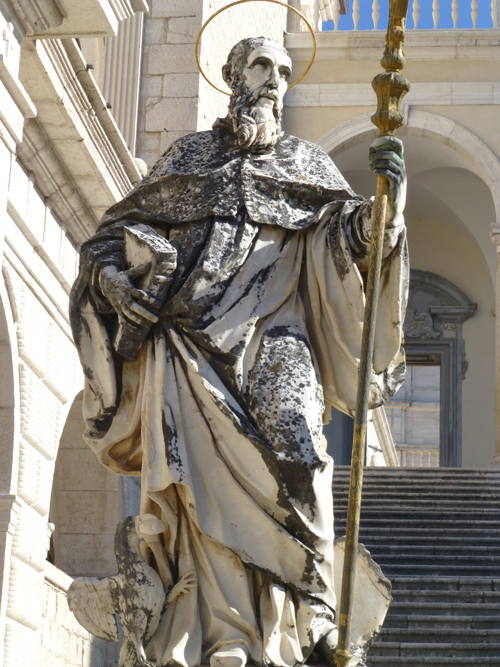 Saint Benedict dedicated his life to serving God and spreading the word of Jesus Christ. He trusted and relied on Jesus Christ and His cross, which is the reason he successfully overcame the temptations, and snares of the devil. Today, we use the Medal of Saint Benedict to embody his faith and protection from evil. It is known that Saint Benedict had a deep and strong faith in the Cross of Jesus Christ, and how he worked miracles with the sign of the cross. His devotion triggered his faithful followers to make medals depicting an image of Saint Benedict holding a cross in his right hand, and his Rule in the other. The other side of the Saint Benedict medal conveys the figure of the cross, in true accordance with Christian faith. "In the blessing of Saint Benedict, God is implored to preserve those who wear the Medal from all snares and temptations of the devil." To educate people across the world about God's goodness through the intercession of Saint Benedict and the Saint Benedict Medal. We offer a variety of Saint Benedict custom-made jewelry and accessories that will provide the strength and protection that Saint Benedict offers.